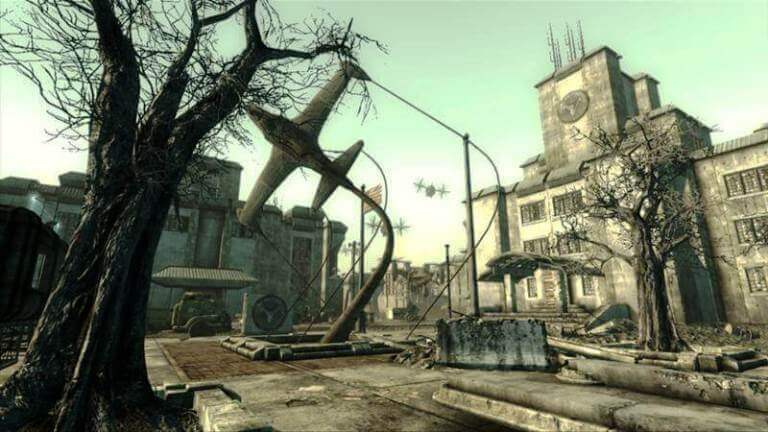 Before Broken Steel, when you embarked on the final mission in Fallout 3, called, “Take it Back”, the game ended, forcing you to reload a previous save game and go back to a point before embarking on that quest in order to finish any loose ends you may have left in the game. Broken Steel fixes this predicament. Now, as soon as you start the final quest, the content loads and allows you to continue the game even after you finish the main quest line. Also, leveling fans rejoice: you can now level up an additional 10 levels, to a total of 30. But I’m getting ahead of myself. The additional story content of Broken Steel is just about the length of Operation Anchorage, the first downloadable content, and balances exploration of new areas with action, though does not transform that game like Anchorage did. As soon as you finish the last quest, you will wake up two weeks later and learn that the Enclave, the shadowy organization that you begin to fight towards the halfway point of the game. The Enclave is even stronger in the expansion, featuring new fire-based enemies and weapons, and challenging you in great numbers. This expansion is definitely meant for characters with about 50 Stimpaks on hand and no less than level 18. The expansion is divided into three quests. The first follows the epic final chapter of Liberty Prime, the giant robot who displayed his massive destructive power in Take it Back, as he destroyed absolutely every Enclave defense with his massive size and firepower. Without spoiling too much, it becomes clear that the Enclave is making one final push to take out Project Purity, the device which much of the game revolved around. The other two quests follow you as you aid the Brotherhood of Steel, the Enclave’s main rivals, and your allies, in their quest to eliminate the Enclave once and for all. Along the way, you can acquire plenty of new weapons plus some new armor from the new Hellfire Troopers. The most entertaining new weapon is, without a doubt, the Tesla Cannon. 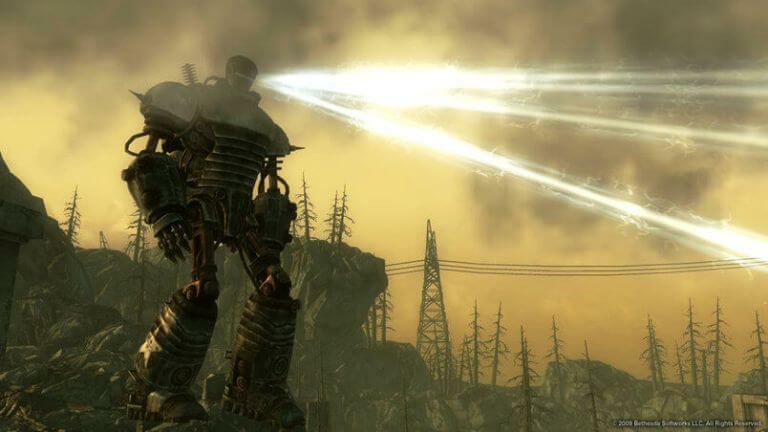 Made specifically to take out Enclave troops (though it works well on everything), the Cannon uses a very common ammunition but will eliminate every enemy in the game in two hits or less in one massive blue beam. There’s also the Heavy Incinerator, one of the new flamethrowers. This monster of a weapon shoots fire in an arc across great distances and will chew through any enemy’s health bar in a matter of seconds. Even after the storyline of Broken Steel culminates in a fantastic explosion (which may or may not make you some new enemies), you are left with plenty of tools of destruction to work with. Another thing that you’re left with after Broken Steel finishes are plenty of leveling to do. The final quest, plus the enemies and quests from Broken Steel, will put you only about level 24 (closer to 25 if you’re thorough and killed every enemy in the expansion). As you level up, you can once again put 15 skill points into your various skills per level, allowing you to catch up on important skills like Lockpicking or certain types of weapons that you may not have made the most of because of the Level 20 cap. It also allows you to add new perks each level, with new original perks being added every two levels. Some of the best from this add-on are “Puppies”, which grants you infinite Dogmeat respawns, and Almost Perfect, which raises all your stats to 9, giving you a massive boost in efficiency as a character. Considering people who make it through the expansion intact have probably already made it through most of the quests in the game, there’s not much left to do outside of the game, leaving many players with little recourse but to run areas like Deathclaw Sanctuary over and over again to reap the most experience. This is quite possibly the only regrettable drawback of Broken Steel; Bethesda really didn’t give players many options to continue leveling even though they extended replayability by allowing you to continue on your own. Fear not though; Bethesda’s coming expansions will no doubt bring you to the new cap in no time. 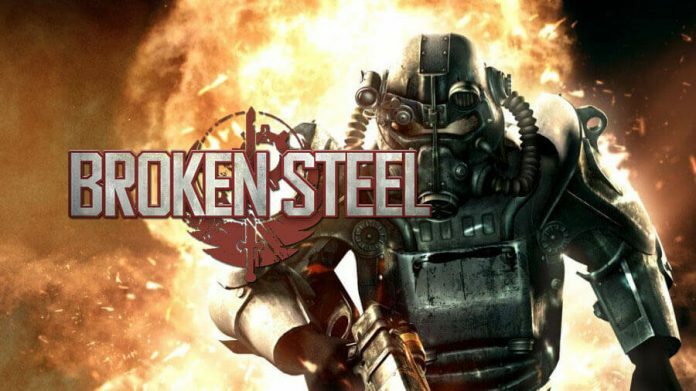 There you have it: though Broken Steel doesn’t handle the replayability boost as well as it should, but it provides an exciting new story section that far surpasses The Pitt or Operation: Anchorage in terms of excitement and firepower gained, and sets the stage nicely for the next expansions that will fill our hard drives over the next few months. FUNFACTOR - The Tesla Cannon is a blast to use, and the gameplay feels truly epic. GRAPHICS - The game is not a looker in the typical sense. The graphics are amazing, but the barren look of the wasteland is not the most pleasant sight that you're eyes will ever see. SOUND - The sound design in the game is flawless. SINGLE PLAYER - Fallout 3 is still as fun as ever, and now you can continue (at your own chagrin) to expand and build upon your characters. CONTROLS - The controls are a bit loose. The RPG elements are solid. As a shooter the game slightly falters. Broken Steel is the closest thing to perfect you can have. Do it.